Our office in Bakersfield, California is Truck Driver Helpful! Get low pricing and great service with your next DOT Physical Exam at our convenient clinic located in Bakersfield, California. Easy To Find! Easy to Park! Our office is located at 9450 Ming Avenue in Bakersfield, CA. Truck parking is available. Need your DOT Physical Exam Today? We know your time is valuable! We are committed to getting you back on the road in no time. Same day appointments are routine in our office, just give us a call. We won’t keep you waiting! Interactive healthcare is a multidisciplinary 4,000 square foot office that includes x-ray and complete clinical resources. Worried About Passing Your DOT Physical Exam? Lots of drivers have medical conditions that can affect your driving status. We know how important it is that you continue your livelihood as a commercial driver. The very last thing we want to do is to remove a driver from the road. That’s why we will do everything possible to make sure that doesn’t happen. That is our specialty and our promise. In nearly every case, we can find the way to keep you road. With extensive knowledge of the DOT Physical exam medical guidelines, we will steer you through the DOT physical exam requirements so you can Keep on Truckin’. Not sure if your medical condition will affect your driving status? Just give us a call before your appointment, we are here to answer your questions. Whether you are just traveling through Bakersfield, California or one of our local drivers, we are here for you! If you’re looking for a DOT physical exam, CDL Physical Exam, or a School Bus Driver Physical Exam in Bakersfield, California, you’ve come to the right place! Located in Bakersfield at 9450 Ming Avenue, middle entrance. Truck and trailer parking is available. 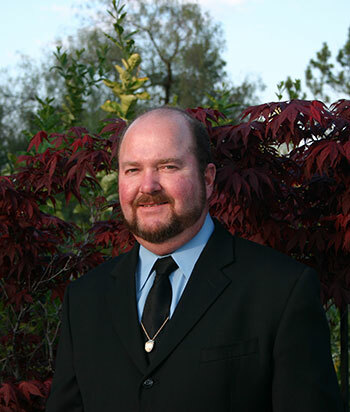 Dr. Craig Gunderson has been a in practice and a resident of Bakersfield, CA for 37 years. He has performed thousands of DOT Physical Exams for commercial drivers. His qualifications include general and occupational practice as a Chiropractor and as a Qualified Medical Examiner with the State of California. Dr. Gunderson is past Vice President of the California Chiropractic Association and Past President of The Academy of Forensic and Industrial Chiropractic Consultants. Community contributions include ten years with the Kern County Sheriff Mounted Search and Rescue, with five years as Captain. He is a current Board member with The Kern County Gun Club.